North Lanarkshire Heritage Centre is located at the top of Hamilton Road, just opposite the station. Due to the relocation of the council archives and records facility, the gallery space has been reduced in size. However, the temporary exhibitions in the foyer exhibition space and in the community art space on the first floor are changed and updated on a regular basis. 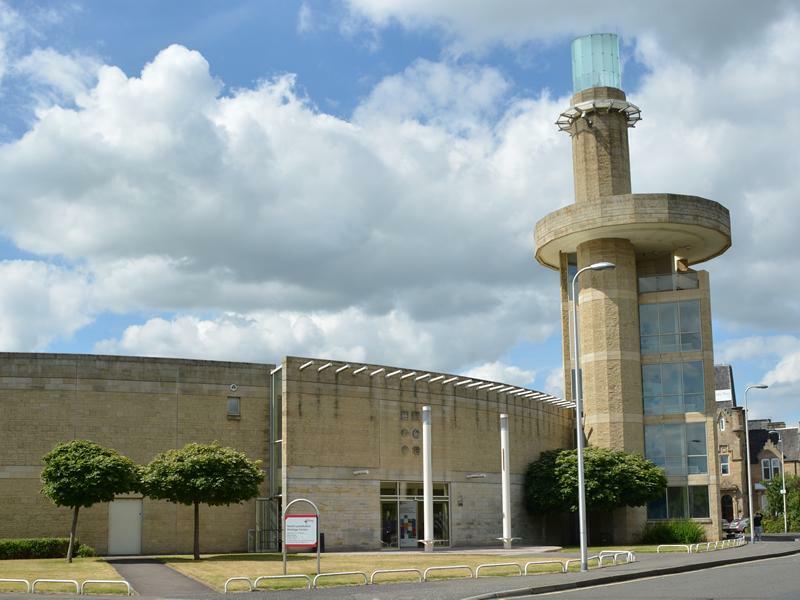 The centre is also home to the archives and local history research room, which is open to visitors who wish to research their local or personal history through our reference, media and archive collections. Microfilm, microfiche readers and PCs are also available for use. There is a fifth-floor viewing tower, a distinctive feature of the local landscape, from which visitors can see right up and down the Clyde Valley, over to the Campsie Fells and even to Ben Lomond - if the weather permits!